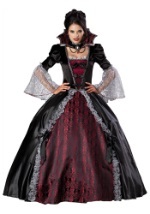 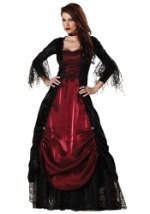 Party in twilight elegance when you wear this Plus-Size Mens Midnight Vampire Costume! The three-piece costume includes cape, vest-shirt combo, and dickey with cravat. 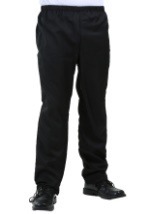 The sleeves of the combination vest and shirt are and have gathered elastic cuffs; the shirt back is black polyester interlock knit and the front is gray poly interlock overlaid with black lace. 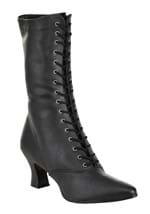 The "vest" portion is edged with black satin ribbon, and there are four decorative silver-tone filigree buttons down the center. 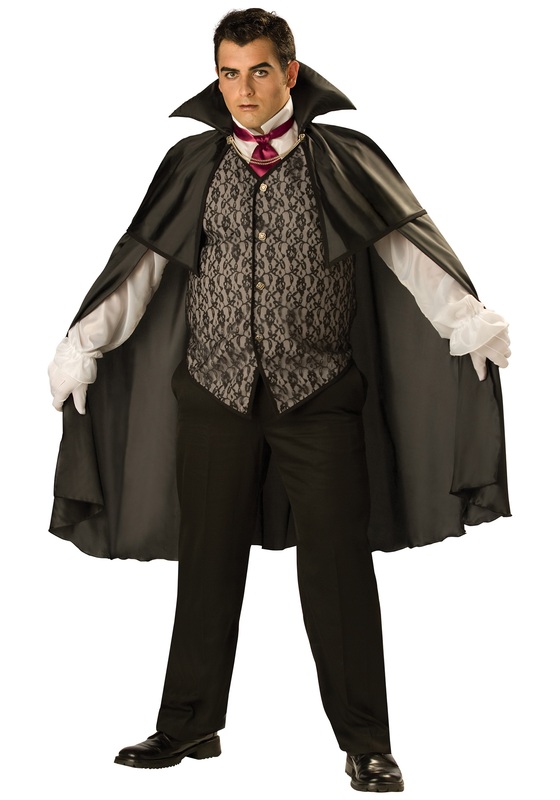 The dickey is the same white satin as the sleeves, with a maroon satin cravat sewn to it in the back, where it is fastened by a button and elastic loop. 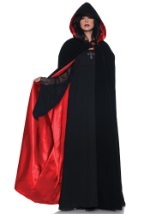 The knee-length cape is shimmery woven black polyester with short capelets over each shoulder and a padded stand-up collar; it fastens with a silver-tone chain that loops over two buttons that match the ones on the vest. 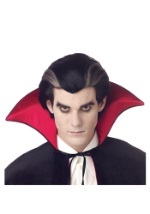 Accessories such as black pants, white gloves, a cane and vampire teeth will add an aristocratic finishing touch.